With summer weather quickly approaching, it’s the perfect time to kick back and dream about a sweet bungalow by the beach… in Queens. 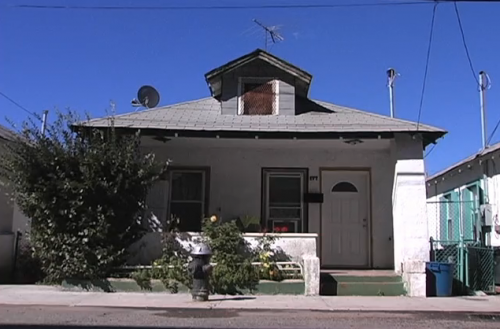 Endangered bungalows throughout New York City have been on the radar for some time now, but documentary filmmaker Jennifer Callahan has focused on the fight to preserve the few bungalows left on the Rockaway Peninsula in her film Bungalows of the Rockaways, which will be screened tonight at Tenement Talks at the Tenement Museum. The filmmaker got Estelle Parsons to do the voice over and Columbia’s Andrew Dolkart to comment on historic value. Planning Commissioner Amanda Burden talks about the zoning surrounding the enclaves. Even Council Speaker Christine Quinn‘s dad, 83-year-old Lawrence Quinn, weighs in with his memories of the bungalow. But for the most part, the residents of Rockaway do most of the heavy lifting. 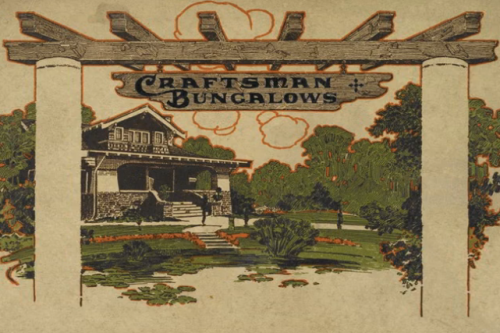 Many of the bungalows could be ordered from catalogs. The film traces the history of the bungalows from their 17th century origins in Bengal, India, on though to their arrival in England, then New England, and eventually on to their landing in NYC and in Rockaway, where they replaced tent communities of the working class. Scene from the film shows the dilapidated condition in the 1970s. Callahan doesn’t shy away from the sordid bits of Rockaway history, such as segregation. The communities were primarily divided between African Americans, Jews, and Irish, with the blacks responsible for getting the bungalows cleaned and ready for when the whites showed up for summer vacation. 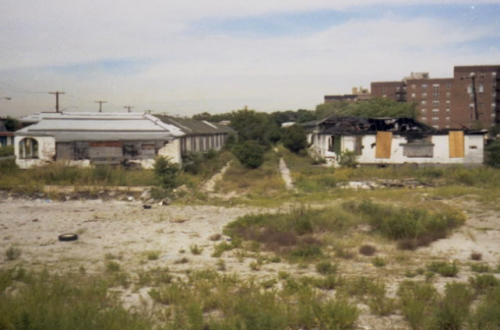 Later, when Robert Moses arrived on the scene, his slum clearance displaced scores of African Americans. Many crowded into the bungalows under appalling conditions. There’s no need for a spoiler alert in revealing the ending. 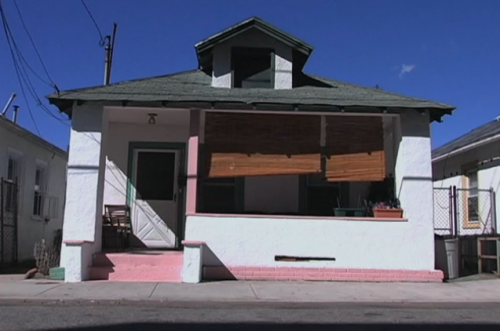 Suffice it to say, though the Planning Commission and Parks have stepped up efforts to retain the neighborhood’s character, the area has yet to be landmarked and without a historic designation, the bungalows are not protected.